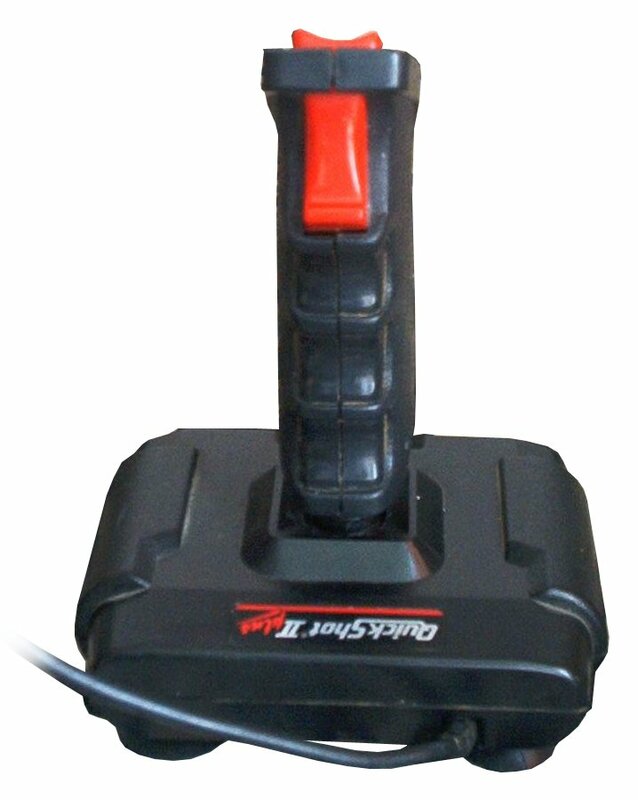 Spectravideo, or SVI, was a U.S. computer company founded in 1981 as "SpectraVision" by Harry Fox. 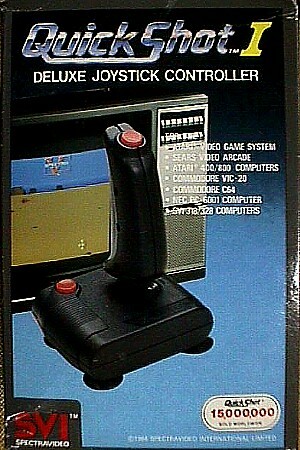 They originally made video games for Atari 2600 and VIC-20. 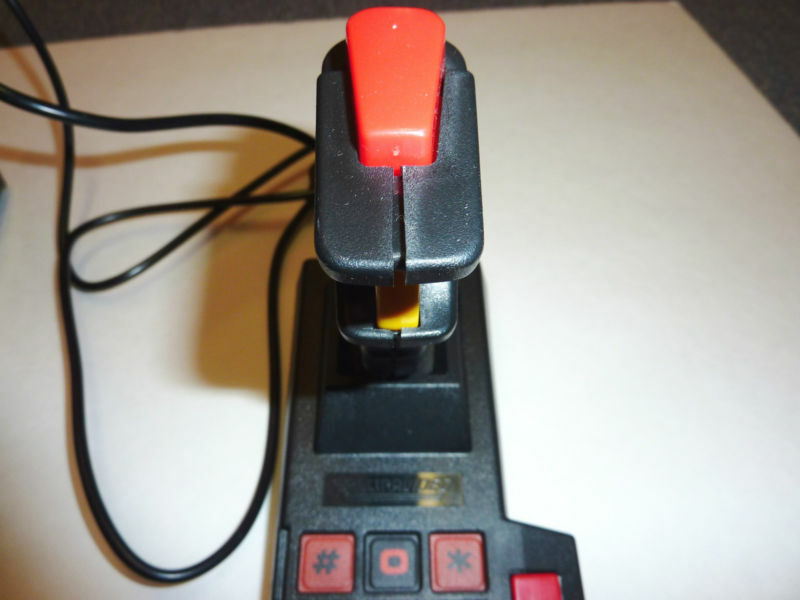 Some of their computers were MSX-compliant or IBM PC compatible. 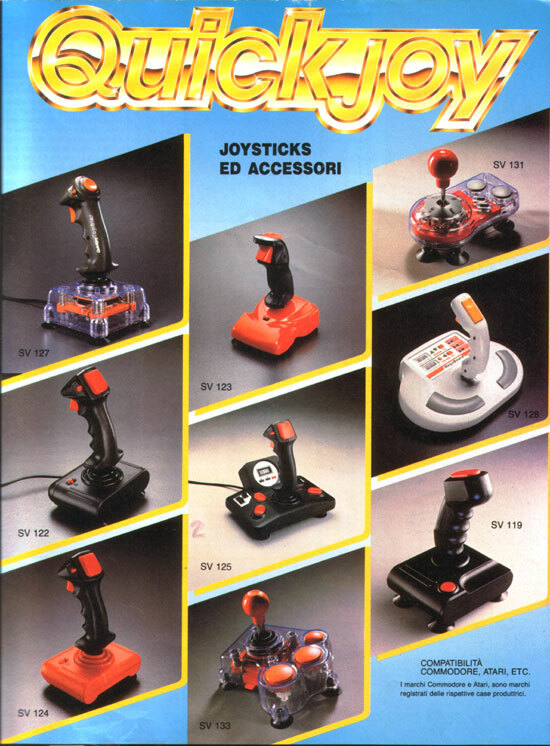 They ceased operations in 1988. 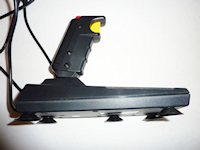 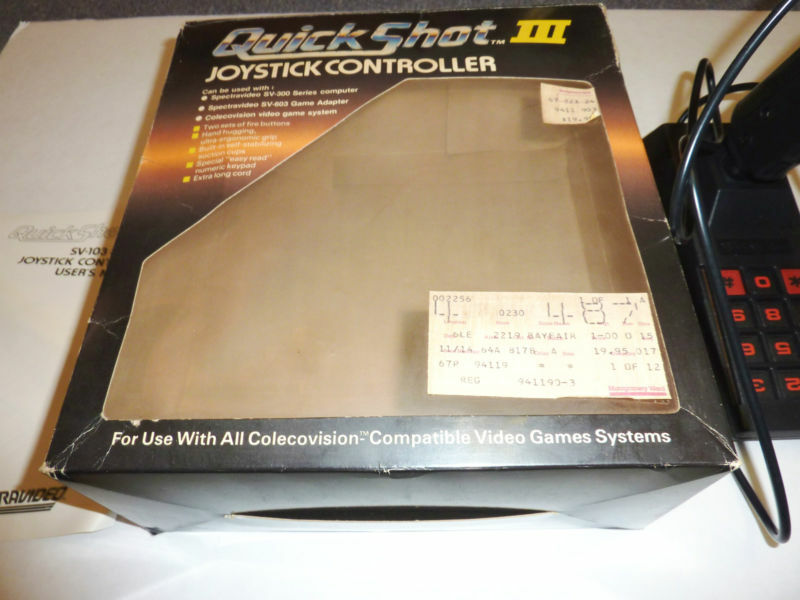 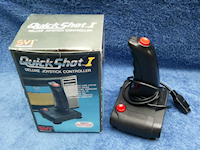 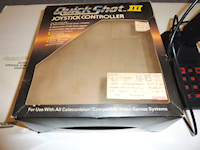 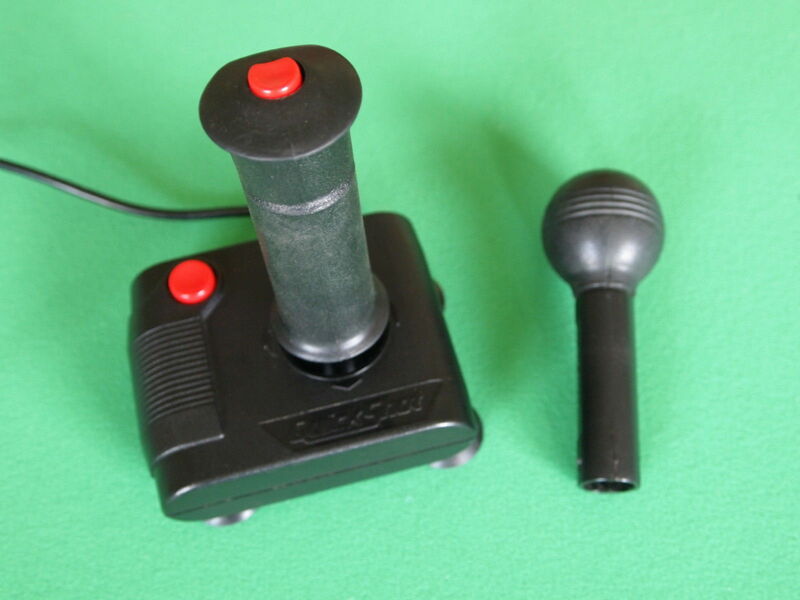 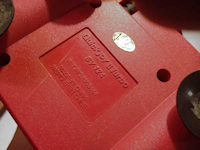 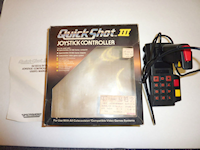 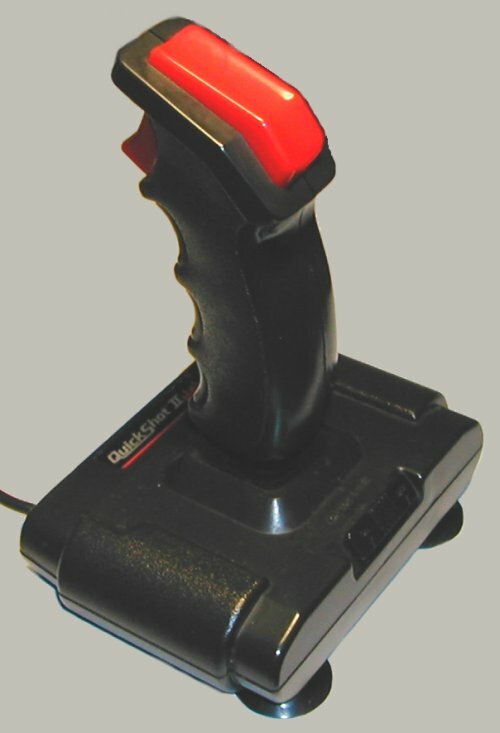 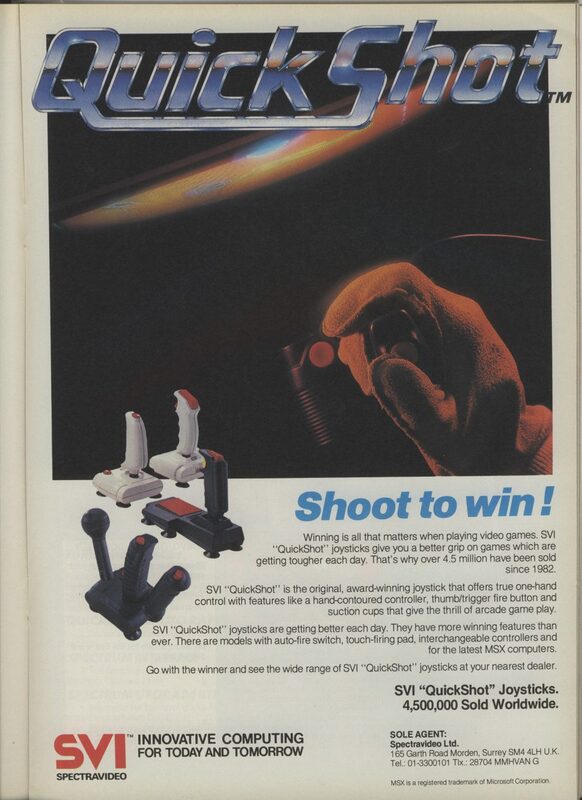 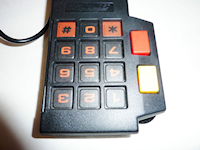 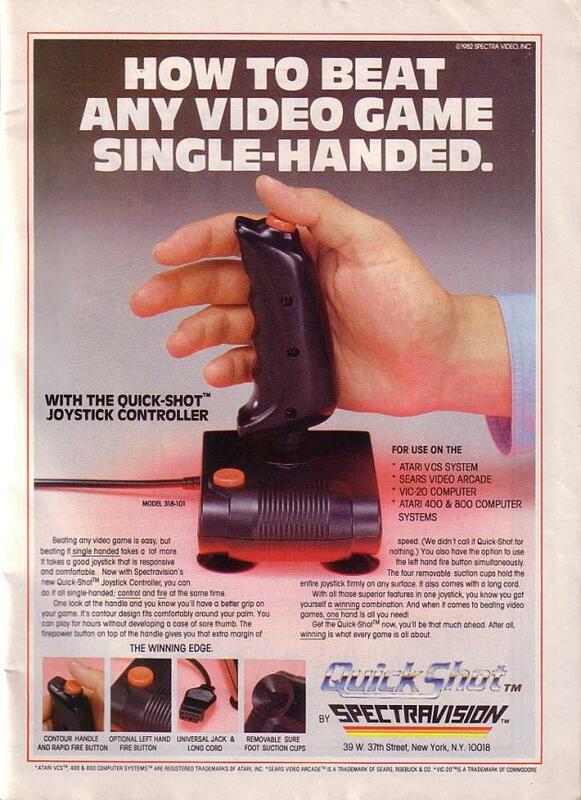 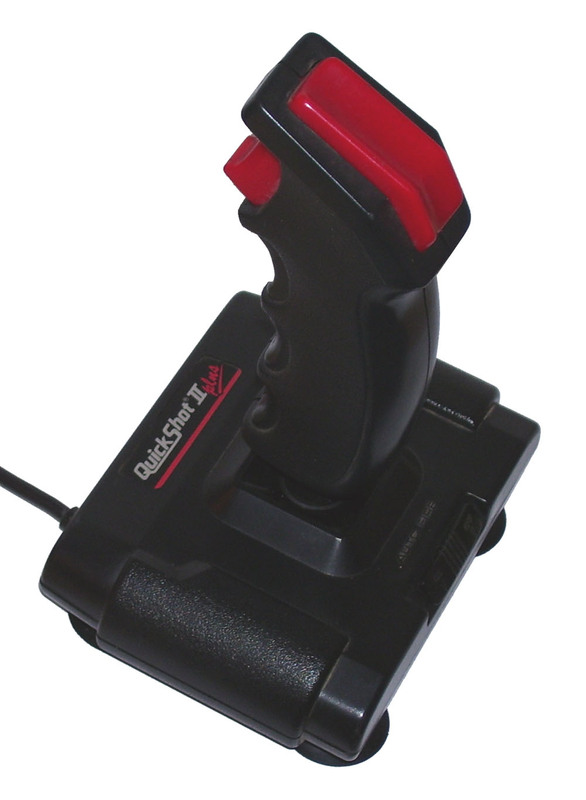 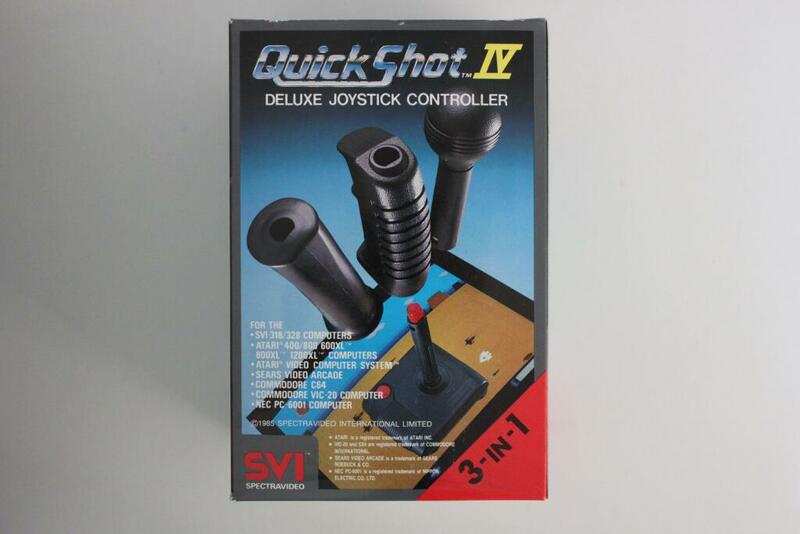 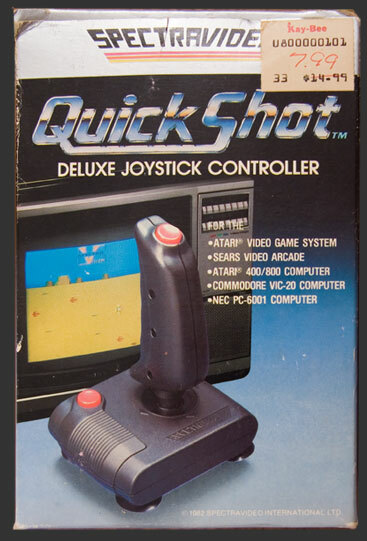 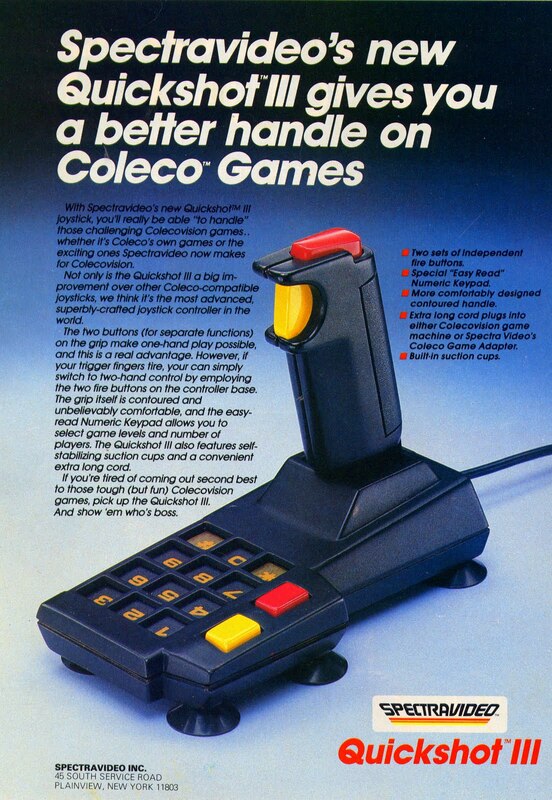 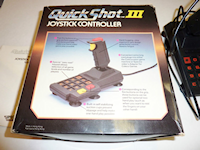 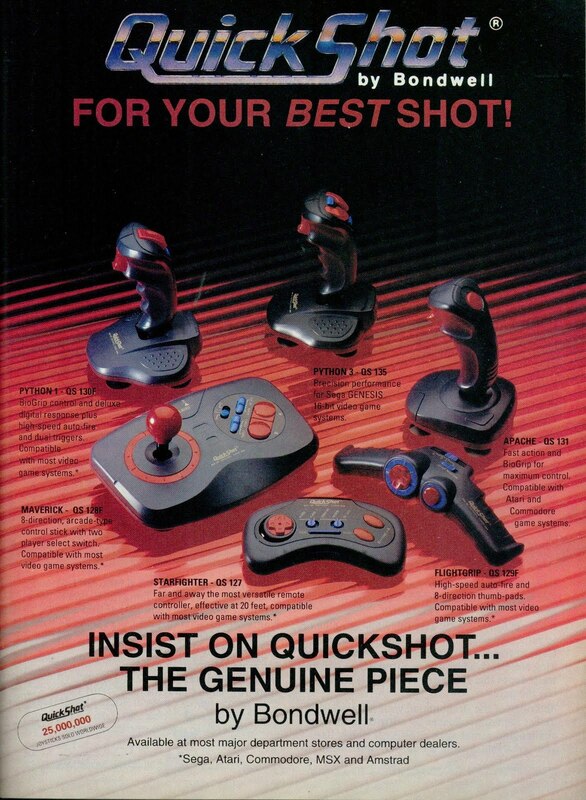 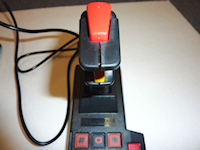 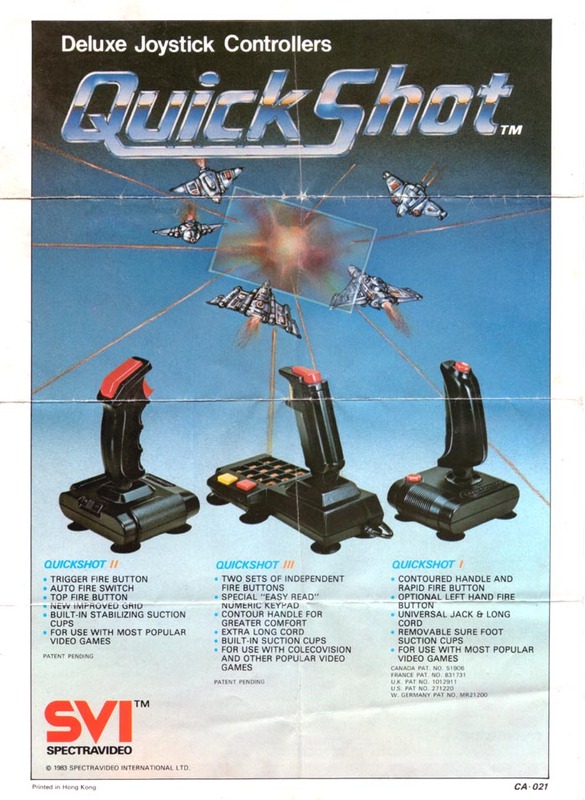 QuickShot was a line of joysticks and other input devices produced by Spectravideo for video game machines including Atari, Commodore, MSX, Amiga, Sega and much more. 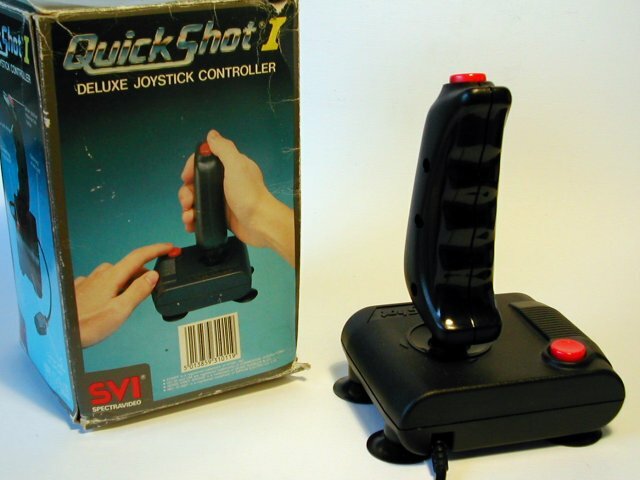 The world's first ergonomic joystick, the QuickShot, was developed and patented by Harry Fox and Peter Law in 1982 (U.S. Patent D271220). 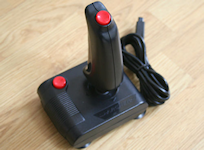 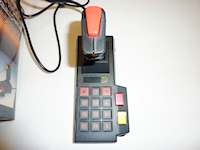 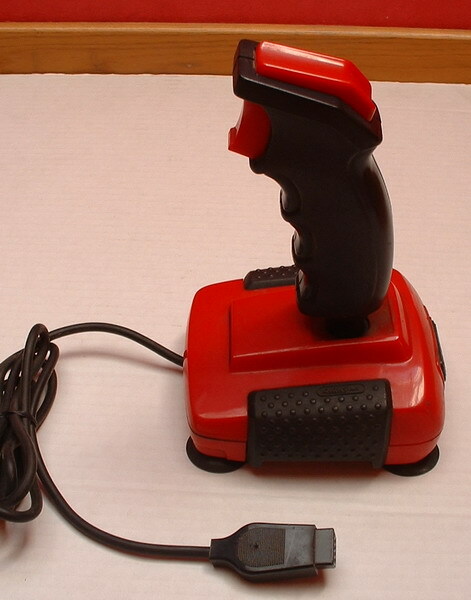 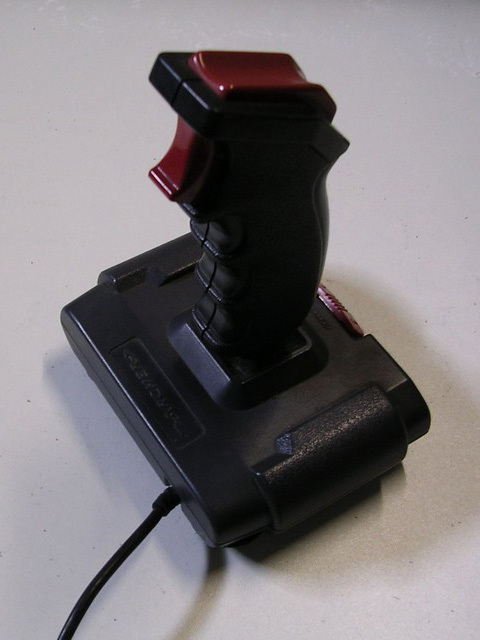 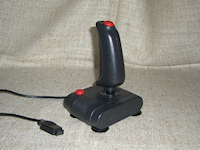 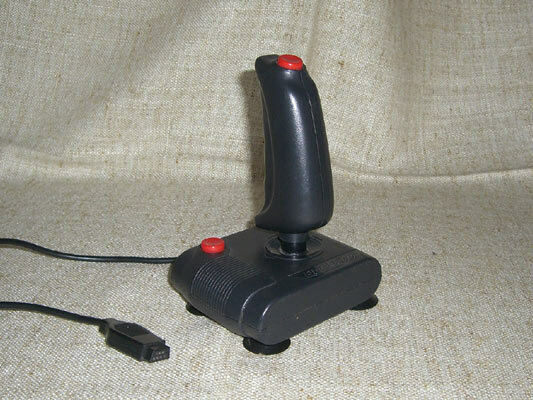 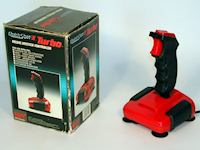 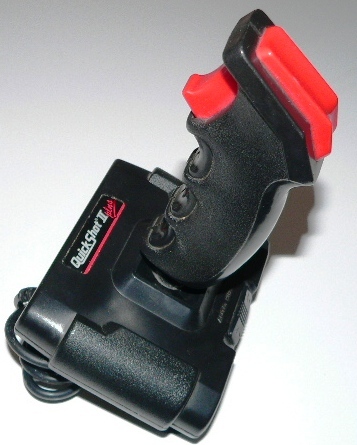 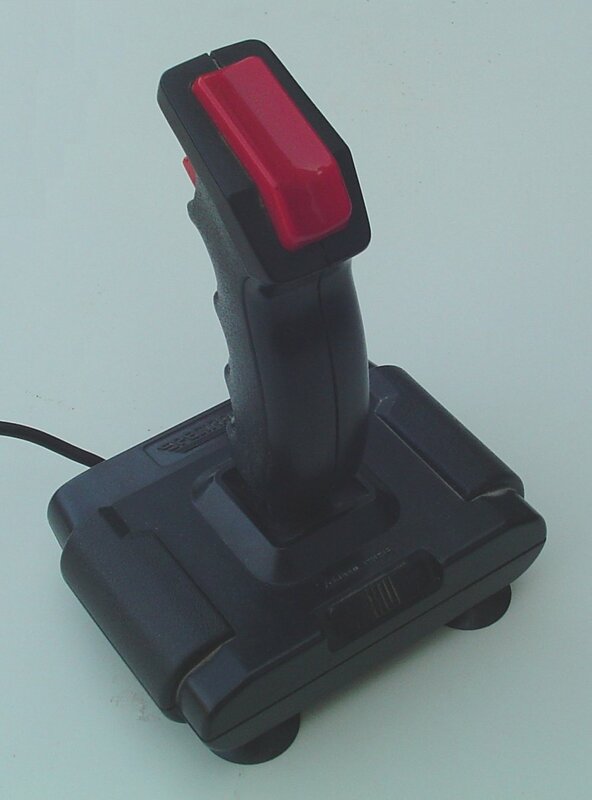 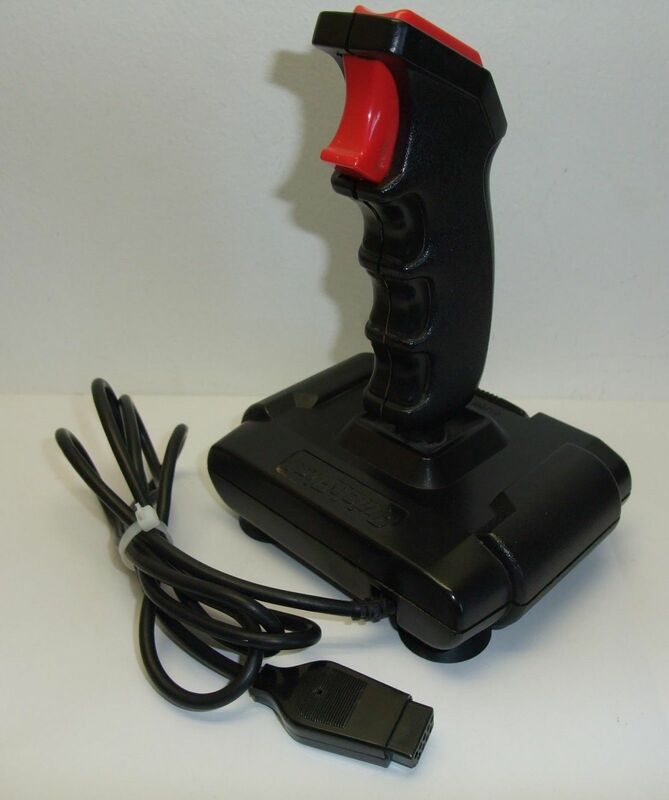 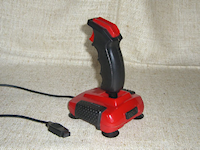 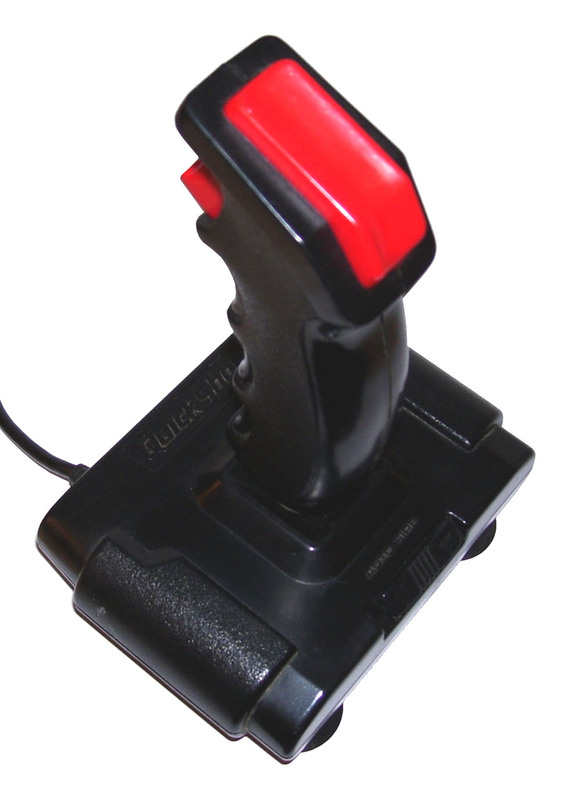 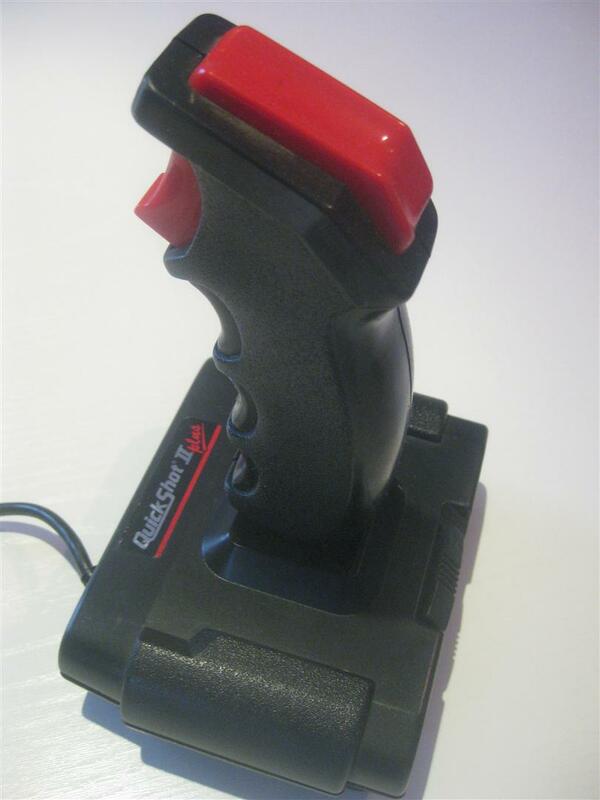 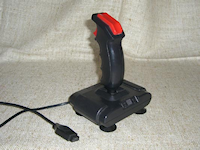 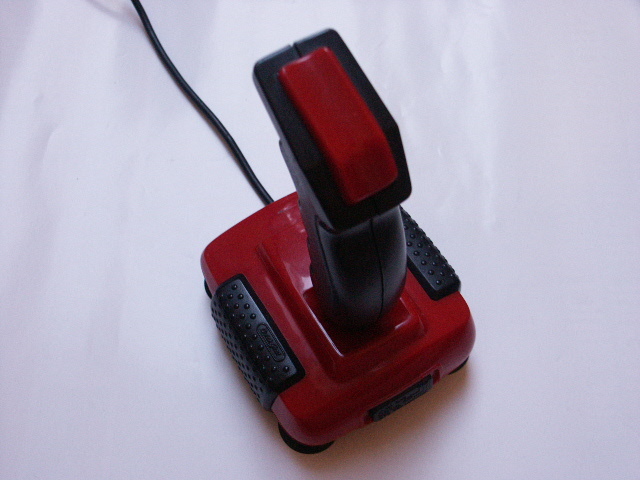 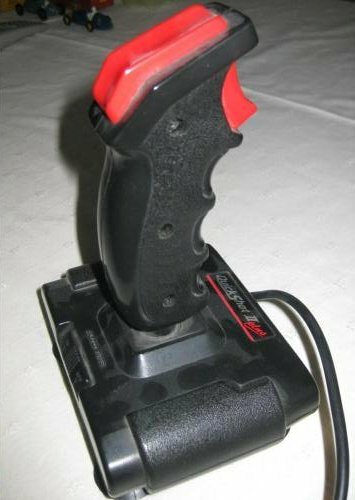 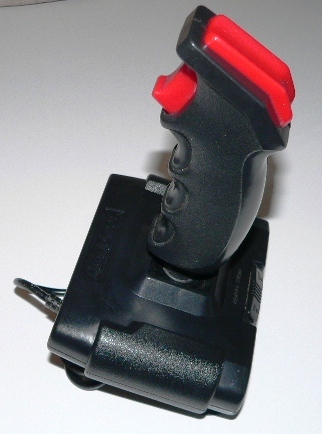 Relatively famous was its Quickshot Maverick joystick, compatible with multiple consoles and home computers. 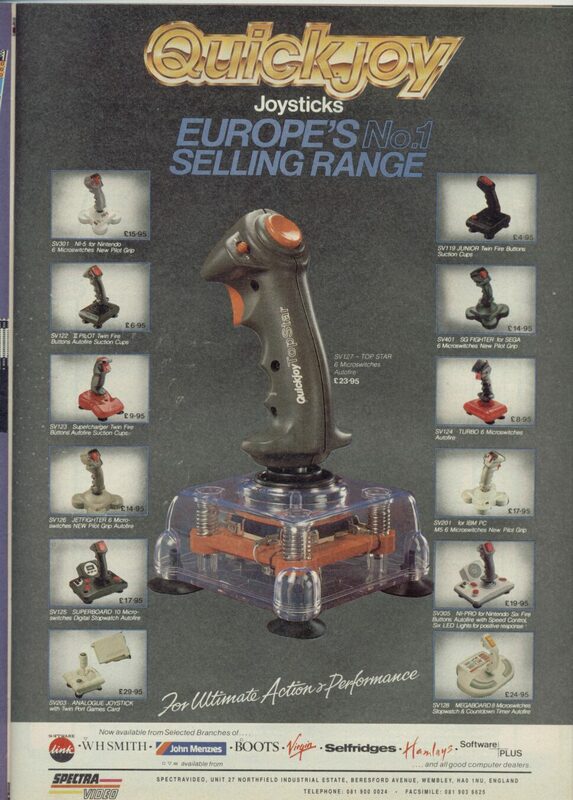 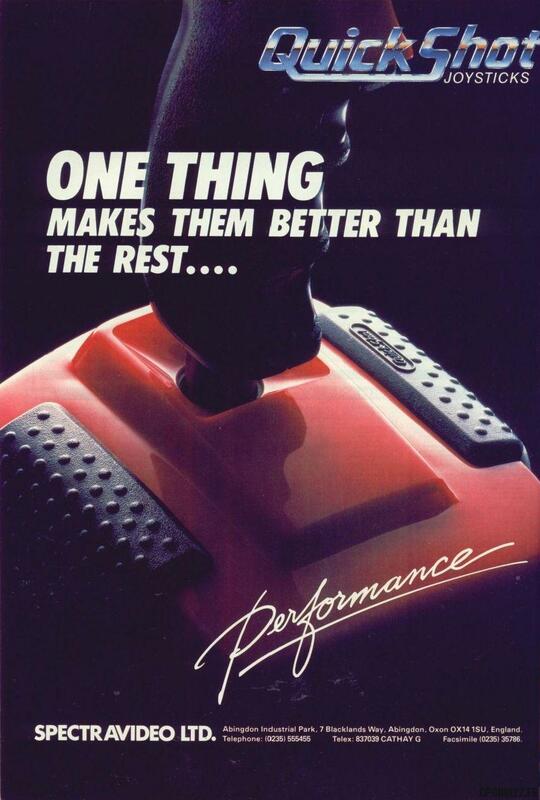 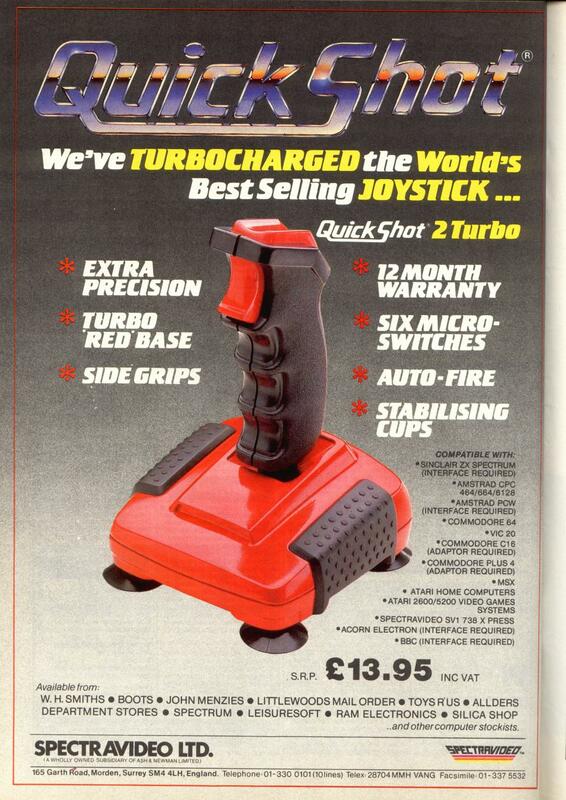 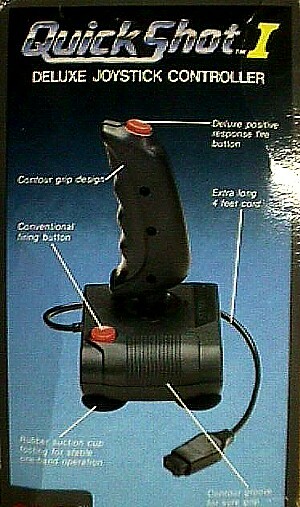 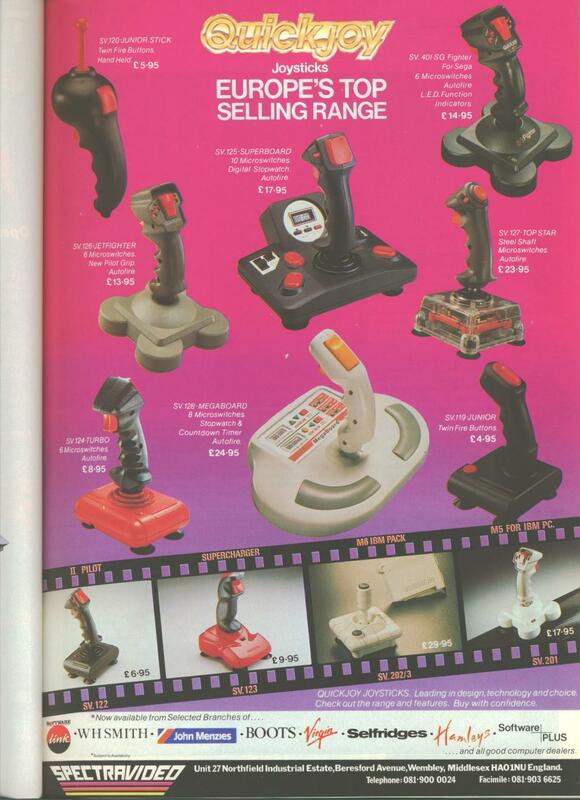 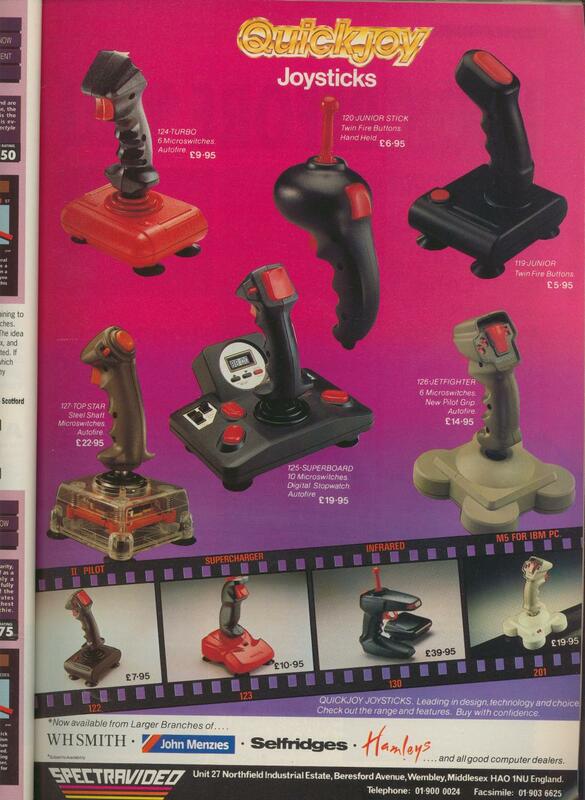 In the late 1990s they expanded their line of products to PC joysticks and mouse. 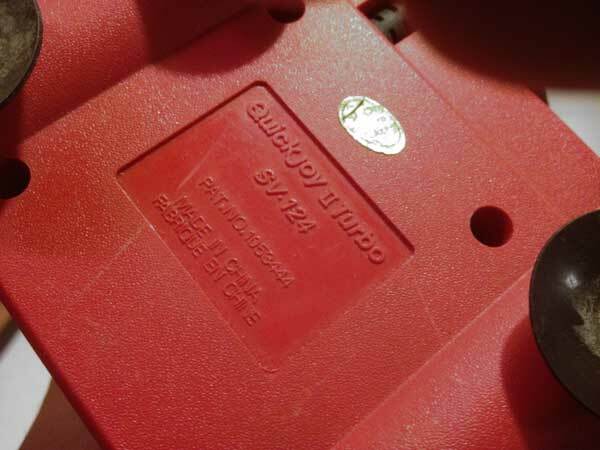 During the 1990s the company marketed a handheld game console called the Quickshot Supervision, a UK version of an Asian console designed to compete with the Nintendo Game Boy. 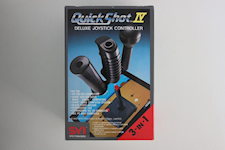 Si vous possédez des photos ou des articles concernant ces joysticks, n'hésitez pas à nous les faire parvenir.